A board game club is a great way to get together with friends. 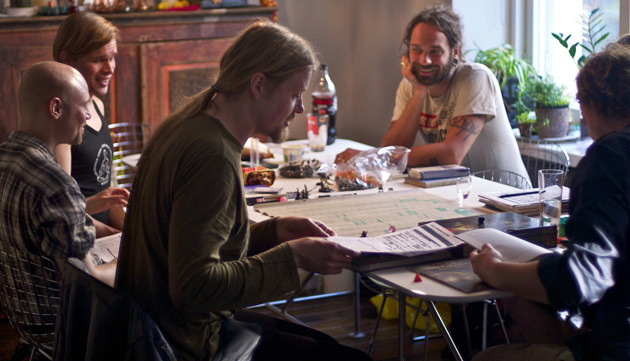 Whether you’re a role-playing Dungeons and Dragons fan or into board games that are more rooted in reality, like Risk, there’s nothing like having a dedicated group you can count on to play a good game for a couple of hours. Starting a club requires more than just a few phone calls, though. You might already have a group of friends who you know will be interested, and if so, great! If not, you’ll need to find a suitable group of fellow game fans. To find like-minded gamers, you can try posting a notice at work, at a church you attend or in another community space using the classifieds section in your local paper using the internet – sites like www.board-games.meetup.com let you search by location for groups, or start your own group and wait for the messages to roll in. If you’re in the position of having too many willing friends and participants to invite them all for one event, you could sort them into groups based on the games they prefer to play or days they’re available, and then plan separate events for each of the groups. It isn’t a good games evening without an ample supply of drinks and snacks. You can choose to send out messages asking each person who’ll be attending to bring something, or do the catering yourself. Just be careful not to get snacks that are too messy or saucy; no one wants chip dip on their board, cards or dice. Although the stereotypical image is of game groups playing in basements, there are far more glamorous ways to get your game on! Nothing beats having a really decked out games room, where you and your fellow adventurers can get together without being disturbed. XtraSpace’s self-storage units and flexi-offices make for superb game rooms. They’re completely secure, so you can leave game materials on the premises. Having a dedicated gaming space away from home is also a good idea because it alleviates the stress on the host of arranging the space beforehand and cleaning up afterwards. Instead everyone is collectively responsible for the space. 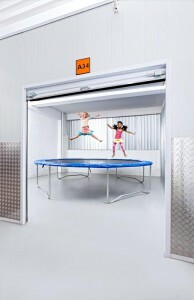 Everyone in a game group can simply contribute a small amount – a storage unit is much less expensive than other types of space you could rent, and can be leased on a short-term basis. Because the space won’t be used for anything else, you won’t have to waste any time setting up tables, chairs and the rest you can just leave them as is when you’re done and resume play the next time your group meets.